I love hair because it’s fun for all ages whether you’re a mom, teen, or even Paisley. 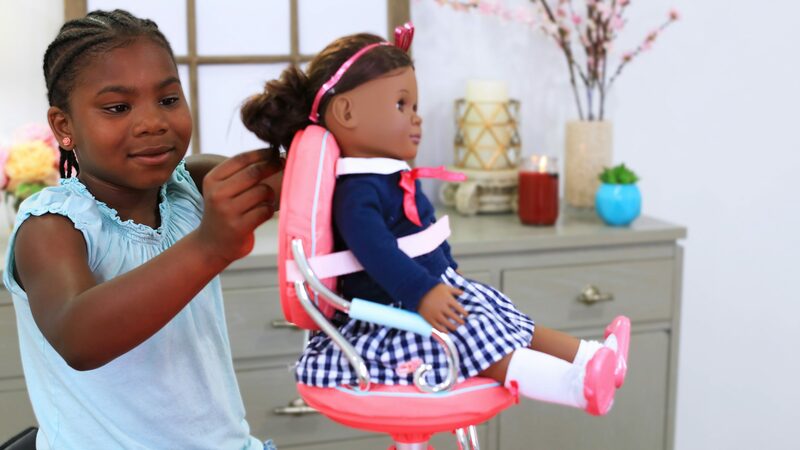 Today, Paisley is going to show you how to create a cute and easy hairstyle on her doll, Mia. The #CGHDoubleBraidBuns is a fun little style that can be done on your play dolls or even on your own hair! It’s a cute look that you can wear casually on a busy Saturday afternoon running errands or even dress it up when you are going out on the town. Start by putting your hair into a ponytail. Take a spray bottle, and spray water evenly throughout the ponytail. Then take the blow dryer, and dry the ponytail. Take the first section of hair and braid until the end of the ponytail. Then secure it with a rubber band. Then take the second section of hair and repeat step 6. Wrap around one braid to create a bun. Take the second bun, and repeat step 8. Lastly, take a few bobby pins to secure the buns tightly. TIP: To set the hairstyle, spray hairspray evenly if desired.